For those of you who haven’t heard of Neem oil, it’s a wonderful product for the hair and skin, derived from the fruits and seeds of the Neem tree. The use of Neem is common in Indian culture, and Ayurvedic medicine; and with a range of anti- bacterial; anti- parasitic, anti- fungal and anti-inflammatory properties, it’s not hard to understand why! One of its most well known uses in the West is a more gentle, alternative treatment for head lice. 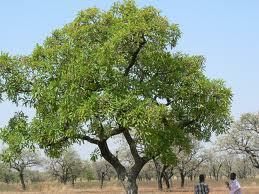 However, Neem should not be overlooked and seen only for this property. It can be used on a variety of skin and scalp conditions, as well as general hair health, and is great for dandruff and dry, itchy scalps. I’ve been using the Organic Neem Oil from Fushi for some time now, and I’ve seen improvements in the condition of my hair. Most noticeably in the shine and strength. I used to get a lot of hairs falling out (no particular health reason and still have plenty of hair) but this has reduced and my hair is now shinier and more vibrant. I simply pour my usual amount of shampoo into my hand, and add in a few drops of neem. I leave it to sit in my hair for a few minutes before rinsing and conditioning as usual. Simple to use, and great results. 1) Acne/Spots – Has antibacterial properties and soothes inflammation. It’s easily absorbed into the skin, so won’t make it greasy. 2) Dry Skin – As mentioned above, Neem oil is easily absorbed into the skin, but without making it greasy. So it’s a great, natural moisturiser, filled with the goodness of vitamin E.
3) Psoriasis & Eczema – Offers relief from itching and inflammation. Cleans the rashes caused by eczema and can offer long term treatment. 4) Insect Repellent – No need to kill bugs, or wear nasty chemicals, Neem oil will make you less interesting to flies and mosquitoes. There are many other benefits to Neem Oil, and some other benefits to taken a Neem supplement internally (do not take the oil internally), the lists are almost endless! It’s a wonderful, multi-purpose oil, and should definitely be treated with respect! Thanks for reading – have a wonderful week ahead! Previous Post Random Food… Cakes by Post!